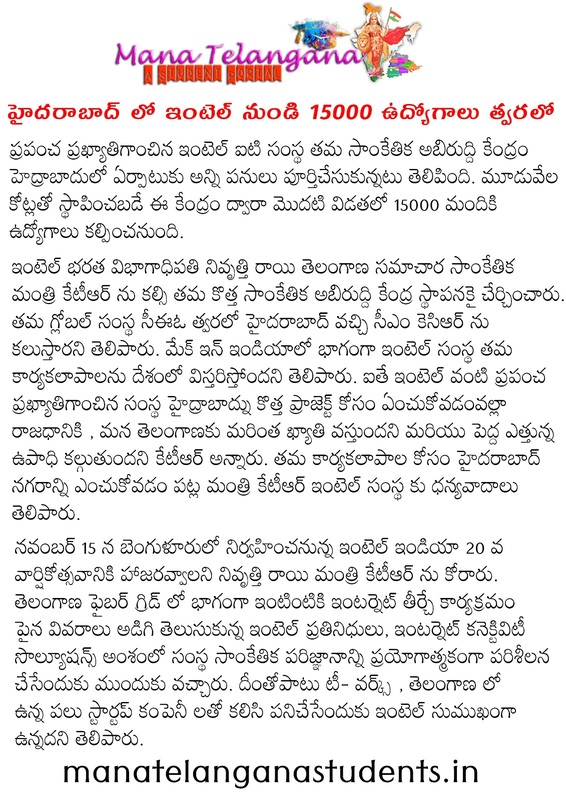 Software firm Intel India has come up with the development of the Center for Technology in Hyderabad Telangana. The center, which has been set up with 3,000 crore, will have 15,000 jobs in the first phase. A high level delegation headed by Ms Nivruti Rai, Country Head, Intel India, met IT Minister KTR at the camp office in Hyderabad on Friday. 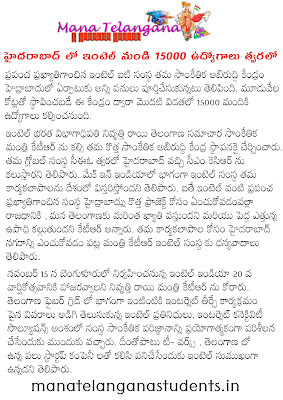 "Nearly 5,000 people will get employment through the center, Soon, the company CEO will come to Hyderabad and meet Chief Minister KCR" Nivruti Rai mentioned.Mr. 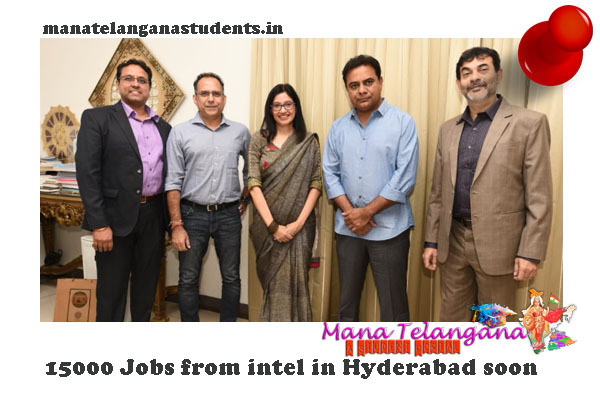 Rao, who spoke about the industrial policy of Telangana state and the infrastructure of Hyderabad, said, "We are very happy that Intel decided to start a tech centre in Hyderabad." The delegation also invited him to attend Intel India's 20th anniversary scheduled to be held in Bangalore on Nov15.